Join me in supporting Pilot Basketball. Pilot Nation! UP Men’s Basketball needs your help! To contend in a competitive West Coast Conference, it takes the support of loyal Pilots to achieve excellence and reach new heights. This is why I would like to share the 6th Man Fund with you all. The 6th Man Fund is the official fund of Pilot Basketball that provides the resources they need to succeed in the classroom, on the court, and in the WCC. I am proud to say I have made my contribution to become a 6th Man Fund member. So join me by supporting the team, and know your support is directly making a difference. $20 – Thank you for your support! Thank you for your support of UP Men’s Basketball! With your help we can make a difference in the lives of our Basketball student-athletes. Receive a 6th Man Fund shooting shirt by making a gift of $200 or more before December 31, 2016. Make a gift of $2,000 or more today to receive full 6th Man Fund benefits. All of our 6th Man Fund members also receive MVP Pilot Club membership benefits. For more information about membership benefits. Questions? Contact us at 6thManFund@up.edu or 503-943-8852. Thank you for your support of UP Men’s Basketball! Re: Join me in supporting Pilot Basketball. Hear ye! Hear ye! A call to action for Pilot Nation! The 6th Man Fund has given Pilot Nation the chance to step up and directly support the Men's Basketball program! I can confirm that this is an authentic request from The Bluff--The University has specifically reached out to PN to ask for our support! This is pretty cool! Note that the 6th Man Fund is specific to the men's hoops program, so it is great opportunity to target donations where you want them most. I am proud to say that I have joined the 6th Man Fund (even after my various rants!) and I hope that many of you will do the same, at whatever level you can. This is our chance to directly impact the program. Anyone who has been around the program in the past few months should have noticed a renewed investment and interest in the program, but it is only the first step. We are going to need your support to continue to build the program to compete for WCC championships. Please reach out to the U directly if you have questions on the Fund. Feel free to contact me via this site by clicking on the envelope in the menu row just below the PN logo at the top of the page if you have any questions or concerns from the PN standpoint. When you make a donation, please let the U know that you are a member of Pilot Nation so we can account for all of the good we are doing! No specific/individually identifiable information will be posted on this site unless specific permission is received from you... I am hopeful that I will receive aggregated information in terms of the number of donors and the total amount. Thank you and GO PILOTS! I'll shell out $20...the Pilots have been a good chunk of my winter entertainment for a few years now. Awesome! Hopefully the links will work for you again, I just tried in Chrome and they worked. PilotNut wrote: Awesome! Hopefully the links will work for you again, I just tried in Chrome and they worked. I'll try again tomorrow. 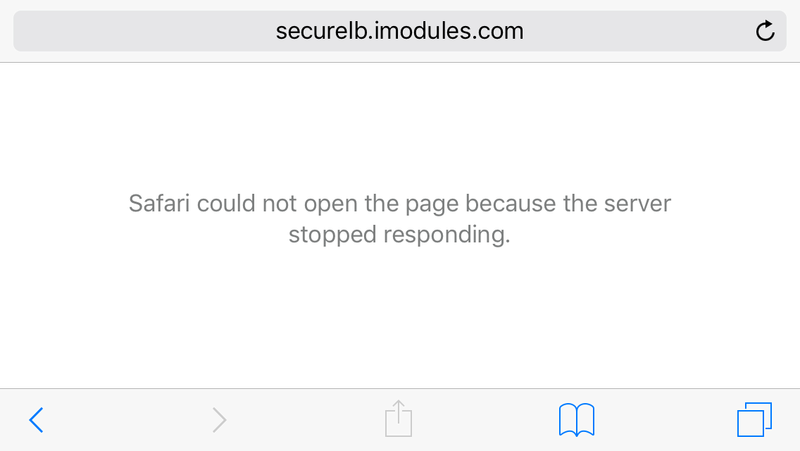 I'm not a fan of reloading pages that were reached by submitting a payment form! Thanks Dean, we appreciate your effort! I haven't signed up for the Pilot Club in years because I signed up a few years ago on monthly auto pay. I would love for my contributions to be counted toward the PN total. I'm guessing that the development department already knows who I am (not really hard to figure out), so maybe this can happen without me doing anything. blacksheep wrote: I haven't signed up for the Pilot Club in years because I signed up a few years ago on monthly auto pay. I would love for my contributions to be counted toward the PN total. I'm guessing that the development department already knows who I am (not really hard to figure out), so maybe this can happen without me doing anything. Um, the 6th Man Club is a separate entity from the Pilot Club....6th Man supports MBB only, not all UP athletics. I'm pretty sure I checked a box to have my funds (as small as they may be) go to the basketball program. Is this 6th Man Fund a new thing this year? As long as my card still gets me ice cream before the game and a free beer at half time, I'm happy! Yes, the 6th Man Fund is new this year. Donations to the 6MF will earn you Pilot Club recognition/status, but not the reverse. This department gave me so much during my time at UP, so even though I'm a broke PhD student, I donated. Use it in good faith. Go Pilots. I'm all-in on the 6th Man Fund, and have made my contribution....with a promise to continue donating in the future. Considering the commitment Fr. Mark and Scott have made to bring winning basketball to the Bluff, I think it is important for PilotNation to make its own commitment to support that effort....no matter how large or how small our donation might be, it’s the number of contributors that counts. Gonzaga is the flagship team of the WCC, but they did not get there without huge financial support from what was at one time a relatively small fan base. With Terry Porter at the helm, I think UP is moving full-steam-ahead and in the right direction to make the Pilots their nemesis in the not too distant future. What's the shirt at the $200 level look like? I got my monthly contribution switched over to the 6th man fund. I also upped my contribution, so Up Yours! This is the type of information you receive when you are at a certain level with the 6th Man Fund. (I don't know exactly what that level is, but I'm sure someone will know the answer). A little (90 seconds, or so) of this video was available to Pilots fans in general just after it came out, but the video in it's entirety was for 6th Man Fund members only. Hello Pilot Nation! Thank you to those who have made a contribution to Men's Basketball! We will have a preview of the shooting shirts sometime next week, but I wanted to share with you the benefits of becoming a part of the fund. As a member of the 6th Man Fund, we want you to be an insider of the program. Like DoubleDipper mentioned, throughout the season we send exclusive member videos from the coaching staff to provide you with an inside look. This is just one of the benefits to being part of the fund. In addition to these benefits, you also receive Pilot Club benefits at the MVP level. If you have any questions, contact us at 503-943-8852 or 6thManFund@up.edu. I'm on board. I donate to academics and athletics at UP - an honor to support the mission of the U and CSC. Great progress on the Hoops front is important. I'm sending much of year end donation the way of the 6th man fund! Rochin54 wrote: I'm on board. I donate to academics and athletics at UP - an honor to support the mission of the U and CSC. Great progress on the Hoops front is important. I'm sending much of year end donation the way of the 6th man fund! Good point, Rochin54, for most a donation to the 6th Man Fund is tax deductible......as always consult your tax advisor, don't believe everything you read on the internet. Thanks Rochin54 for your support of UP and UP Men's Basketball! 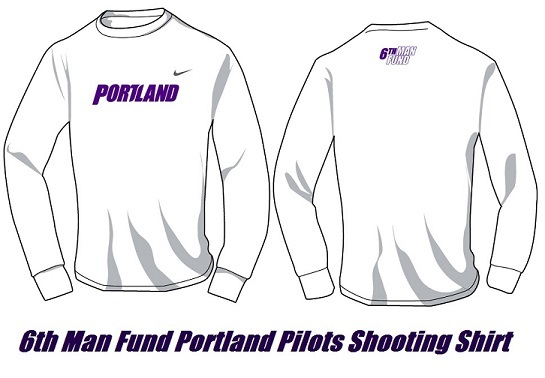 As promised here's a mock-up of the 6th Man Fund Nike Dri-Fit Shooting Shirts! Oh now that is tempting. One of these days the PhD will pay off and I can give that amount. I agree this is a good looking shirt. Is the fit & material going to be like a "real" version? (Speaking of which, the Pilot players' shirts this year are also sharp, with the black body, purple sleeves and purple & white text). Let's not lose sight of this opportunity to support the program. We have turned the page into 2017, so please consider giving to the program if you have not already done so!